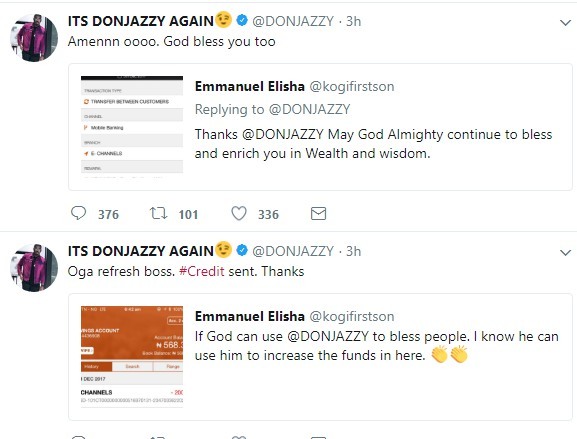 Don Jazzy goes on major money giving spree on Twitter; gives out over N500k. 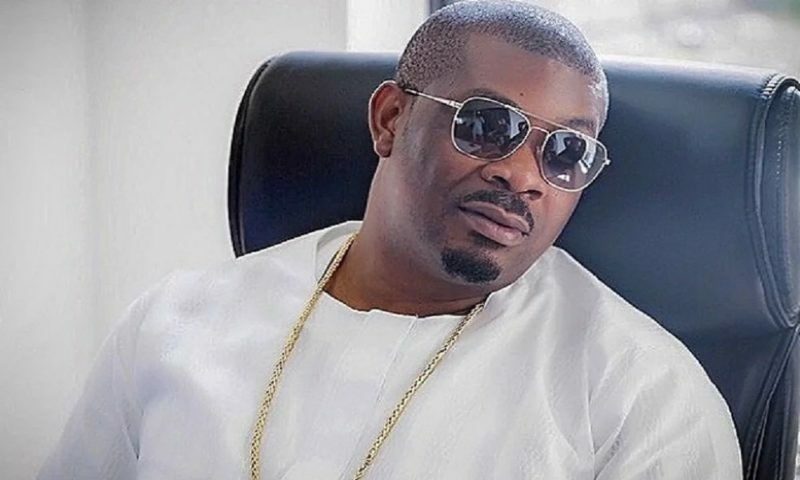 Christmas came right on time for some fortunate Don jazzy fans as he gave out money ranging from 50k – 200k. It began when a woman answered a prayer by another fan,asking God to give him N200K before the 2017 runs out. 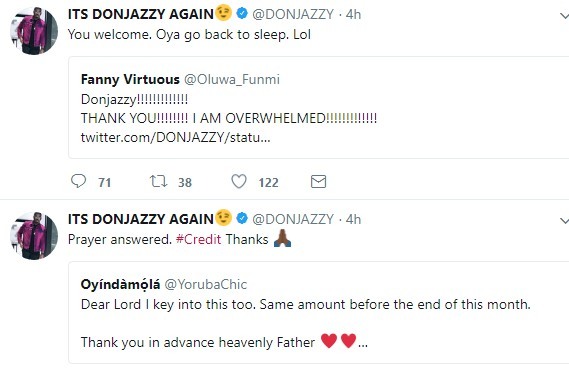 The Mavin boss who says he is dropping a song with Iyanya titled “Credit” at that point requested that fans send their bank details and he sent cash to the 1st group of fans who reacted.